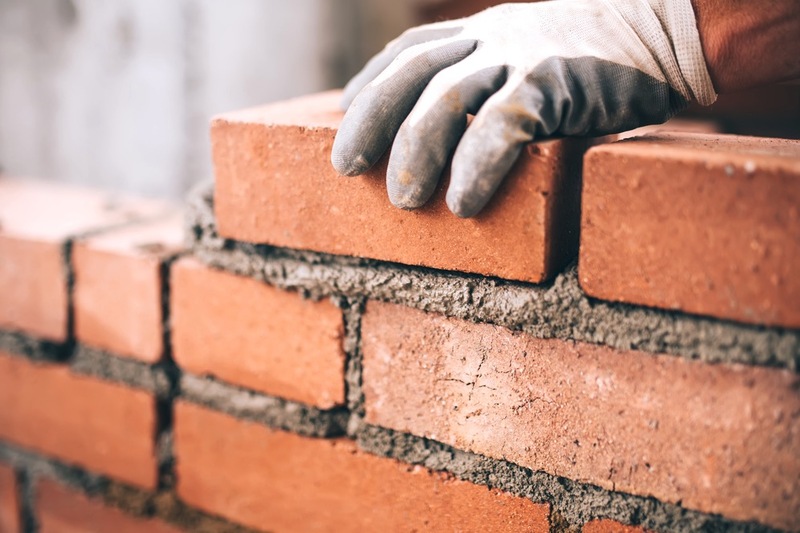 UK Construction Online’s Matt Brown speaks with Keith Aldis, Chief Executive of the Brick Development Association (BDA), on the brick manufacturing industry meeting sustainability targets and the advantages of using bricks in construction. The Brick Development Association is the national authority on clay bricks and pavers. Its 15-strong membership accounts for almost 100% of the sector’s productivity in the UK. How has the process of making bricks changed since the increased demand for sustainable construction? This question is often answered without drawing the distinction between the sustainability of the construction process and that of the construct itself. In terms of process, the introduction of appropriate measures to assess manufacturing sustainability and identify opportunities for improvement has become far more transparent. Since its inception in 2001, our sector’s Brick Sustainability Report has refined KPIs for our members on subjects as diverse as energy, carbon, materials, waste, water, biodiversity, wellbeing, all of which factor in the brickmaking process. This has facilitated the assimilation of manufacturers’ data and setting targets-in-common. Part of this process of course is recognising existing strengths, such as abundant raw materials, product longevity, and an established, short domestic supply chain. In reference to sustainable constructs: Clay brick has been a mainstay of the built environment for thousands of years, because as a product it is sustainable. The quality will continue to improve as research and technology facilitate, but essentially the process of extracting and firing clay to make bricks has survived this long because it offers a longevity not easily rivaled. What is the brick industry doing to reduce carbon emissions? In addition to keeping the materials local; producing it locally; transporting the bricks locally and keeping the embodied carbon within the clay brick as low as possible, we are tied into a number of initiatives like EU ETS (The EU Emissions Trading System). Manufacturing bricks uses energy, of course it does, it uses gas fired kilns – you have to have a high temperature, between 900°C to 1200 °C, to fire the brick and it could take up to two days for a brick to be fired requiring substantial amount of energy to be used. However, the waste heat generated from firing the bricks is reused in the manufacturing process such as drying out clay. We are fortunate in the brick industry in that we are a relatively small, the carbon embodied within the brick is there for a long, long, long time. We don’t simply manufacture bricks for brand new housing, we have a fairly regulated output of around 2 billion a year. What are the advantages of using brick in sustainable building? First and foremost, it’s certainty. In what is often criticized as a throwaway society, one of the unique traits we as a population demand of our built environment is longevity. Brick has a very long track record of lasting a very long time. We know that a well-manufactured, designed, constructed brick building has a typical lifespan of 150 years. This track-record offers certainty, which is important because even with the most efficient, sustainable process, if the finished article does not stand the test of time then the process is wasteful, in the bigger picture. Brick’s adaptability and resilience contribute in a similar way. There is a tendency now to attribute sustainable credentials to constructs that can be deconstructed and adopted somewhere else for some other purpose. As a society, we aren’t good enough at challenging the follow-on impact of transporting components and the process of reconstruction, on overall sustainability. The resilience of clay brick means that the building stands the wear and tear of multiple occupiers, and through intelligent design, can be put to multiple uses. This means that as well as using a sustainable process through locally sourced material and short supply chain, one is left with a sustainable finished article. True sustainability must satisfy both factors. The off site construction sector talk about building offsite and shipping to sites before assembling there. We have no issue if they are using clay slips for that; we would welcome that. We do have a problem, however, with some of the claims that this process is sustainable. I don’t believe for one moment that it is. For me, sustainability is about longevity and certainty. Given the need to build more homes in the UK, is there greater pressure to deliver a more sustainable product? There should be. One of the things we would like to see more focus on is the longevity of the housing being promoted by the UK government. Recent rhetoric has focused very much on the need for volume and speed, but on their own these don’t address the long-term issue of available, affordable housing, because if the longevity of the housing isn’t prioritised, we’ll be in the same position again in 60 years’ time. People want a home that will last their lifetime, not simply an alternative temporary solution. Perhaps this is why recent ONS stats show that the sector has sustained a consistent rise in deliveries during the last twelve months. A significant year-on-year rise in deliveries was published for the fourth quarter of 2016 (up 26% compared to the same period in 2015), a trend that has continued in the first quarter of 2017, which has seen deliveries increase by 17% against the first quarter of 2016. Does the push for more modern materials and construction methods such as offsite manufacturing make the need for a more sustainable product all the more vital? The need for sustainable products comes from a growing population who will always need somewhere to live and work. The push for so called ‘modern’ materials and construction risks undermining this unless quality is insisted upon. There are some very exciting opportunities for the brick manufacturing industry, not least the prospect of bringing the benefits of off-site quality control on-site, through evolutions in robotics, but let’s not lose sight of reality. So-called modern materials often have very little evidence to support claims of sustainability. I also question the definition ‘modern’. With examples such as RIBA Sterling prize winning Newport Street Gallery, clad in a bespoke, handmade clay brick and revered by those who work in the built environment as exemplar contemporary architecture, it is difficult to reconcile clay brick manufactured today with anything other than the term modern. Can you tell me about the ‘Circular Economy’? The objective is to ensure that the full potential of a resource is realised. It is no longer considered acceptable for products to be disposed of at the end of first use, commonly referred to as a ‘linear economy’. The circular economy is a good concept, but we must not consider it to be all encompassing: treating first use as – by definition – an inadequate period of time, poses a danger to the integrity of our sustainable efforts. With clay bricks, if the correct considerations are made in manufacture, design and construction, bricks can have a typical lifecycle of 150 years. More importantly, there is a distinction to be drawn between lifespan of a material, that of a construct, and its purpose: through extensions, alterations to internal configurations, and façade renovations, a clay brick building has multiple uses. Compare this to claims presented at the Explore Offsite conference, UK, in April, at which 60-year lifespans of fledgling prefabricated technologies were professed to be sustainable. We must not only ask ourselves if they can be reused, recycled, repurposed. But rather, do the materials in question stand the test of time? A significant proportion of modelling work undertaken to date has focused on high value, short service-life products, such as white goods and electrical equipment. It may be appropriate to measure clay materials’ contribution in an alternative way. The concept of natural capital is a debate in which we will see the industry become more involved and act as an umbrella to some of the popular talking points, including resource efficiency. Manufacturers recently published their 2016 Brick Sustainability Report. First established in 2001, the 2016 report covers a range of activities and criteria, that show how narrow too heavy a focus on only one concept, e.g. circular economy, may be.